Frank Pucci, otherwise known as "Killjoy" as the lead singer for Necrophagia, died earlier today (March 18) from an unknown cause at the age of 48. We are so shocked and saddened to bring you the news of our dear brother Killjoy passing away this morning. We are at a loss for words. R.I.P brother you are forever in our hearts. We will cherish our moments together forever. Pucci started Necrophagia in 1983 and, for a number of years, became popular among underground tape traders. Their death metal style was among the first in the genre but it wasn't until 1987 that New Renaissance Records took a chance on the band, releasing Seasons of the Dead. Their second album, Ready For Death, was recorded in 1986 and was scheduled for release in 1990 but the band broke up and the album was shelved. 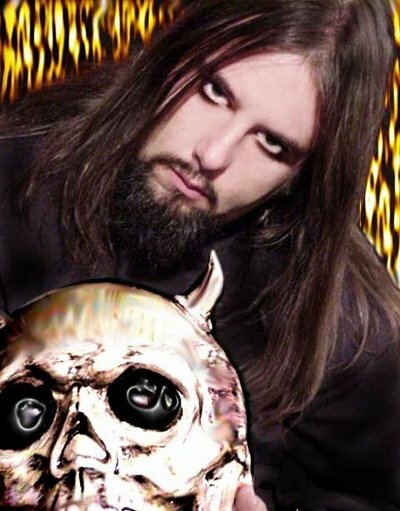 Pucci went on to sing for Cabal starting shortly after the demise of Necrophagia and became friends with Pentara's Phil Anselmo who convinced him to restart Necrophagia in 1997. Anselmo joined the band (under the name Anton Crowley) and they release the album Holocausto de la Morte (1998), the EPs Black Blood Vomitorium (1999) and Cannibal Holocaust (2001) and the DVD Through Eyes of the Dead before Anselmo departed from the band. Necrophagia has stayed active with a number of album and EP releases over the last decade and, even though there were numerous personnel changes, Pucci remained the backbone of the group. Along with the albums he recorded with Necrophagia, Pucci also released one solo album (Compelled by Fear (1990)) along with albums by Viking Crown, the Ravenous, Wurdulak and Enoch.